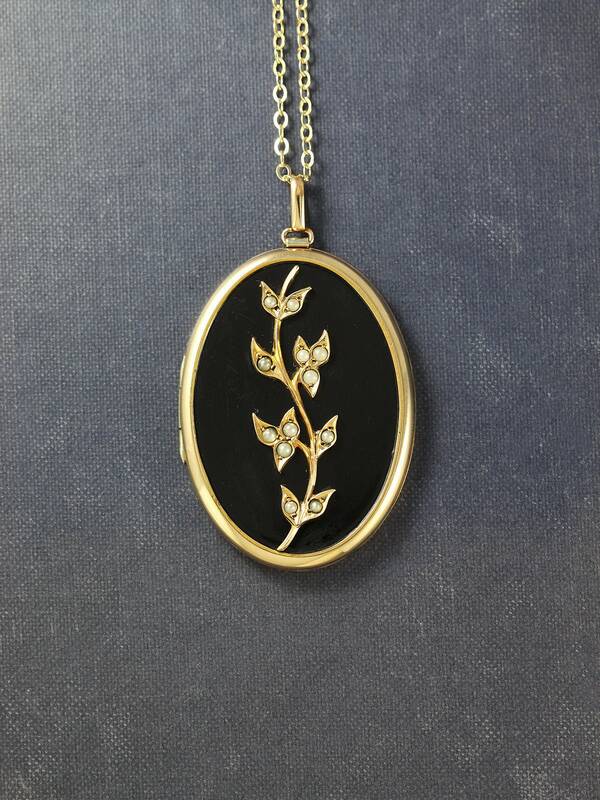 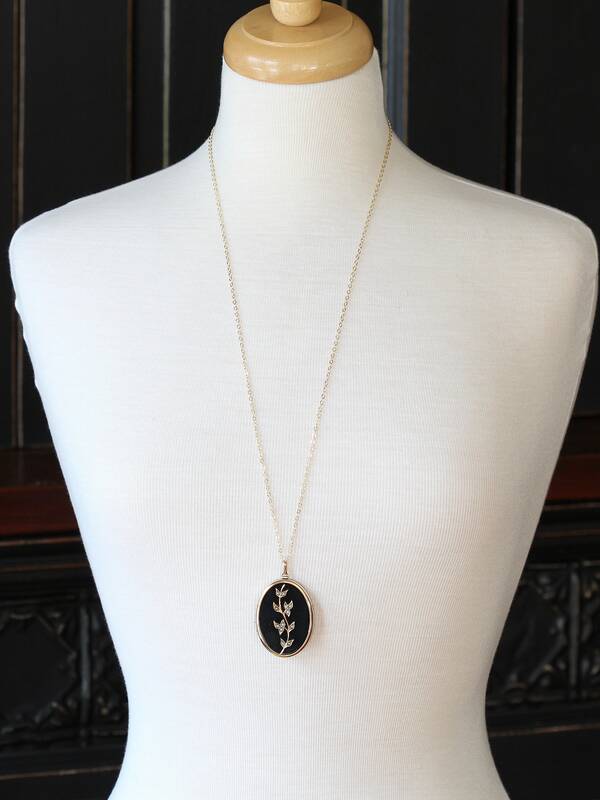 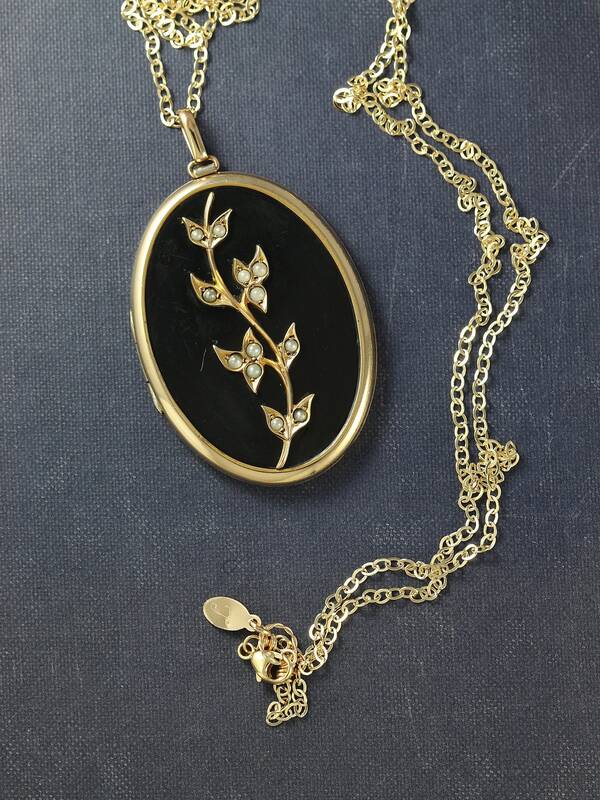 A rare and beautifully designed locket is detailed with a decorative vine set with tiny seed pearls (possibly glass). 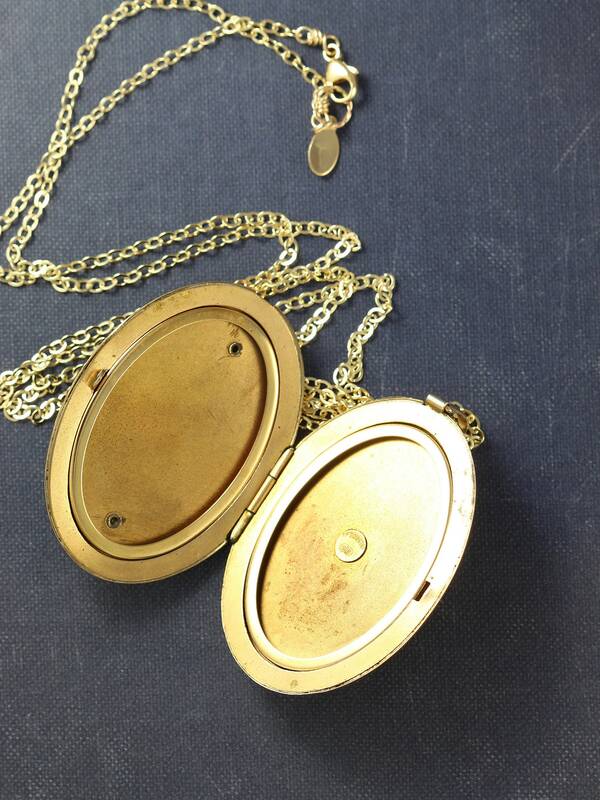 The beautiful vintage gold filled locket opens to reveal two removable frames signed with the maker's mark for Binder Brothers of New York (circa 1930's - 1950's). 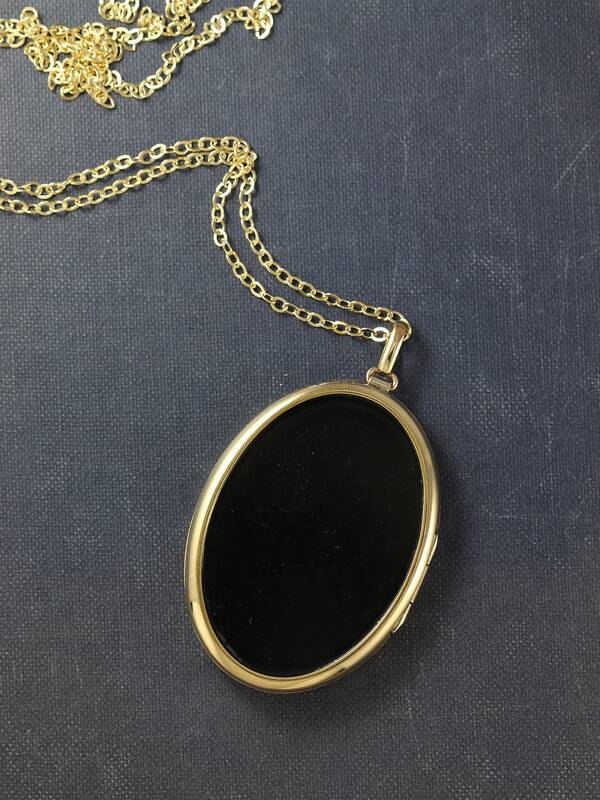 The locket dangles on a new long 14k gold filled chain hand finished with a trigger lobster clasp and ring.